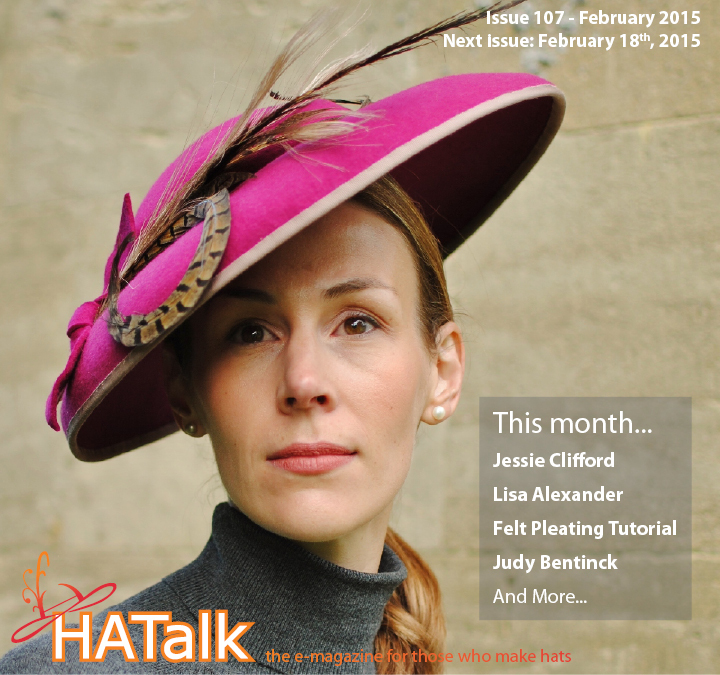 An Interview with Jessie Clifford: English milliner Jessie Clifford talks about her new hat collection and more. Hat of the Month: A Japanese style headpiece from Lisa Alexander Designs in Australia. Make a Hand-Pleated Felt Cloche – Part 1: Ani Townsend demonstrates freeform felt pleating. 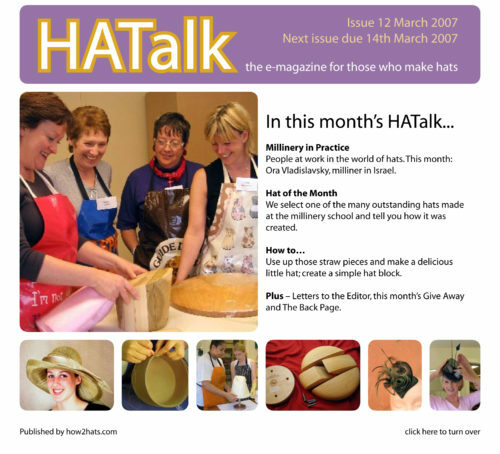 Book Review: Designing and Making Hats and Headpieces by Judy Bentinck. An idea for using leftover ribbon.